Lighters for pipes are a serious business. 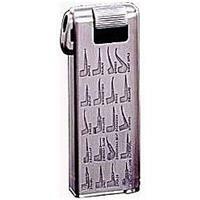 While many pipe users will try just any old lighter laying around, serious pipe smokers choose a lighter that is appropriate to their craft. The selection shown below all use soft flames as opposed to jet flame or torch lighters that can scorch a pipe's below and most provide an angled flame to help keep from burning the pipe smoker.